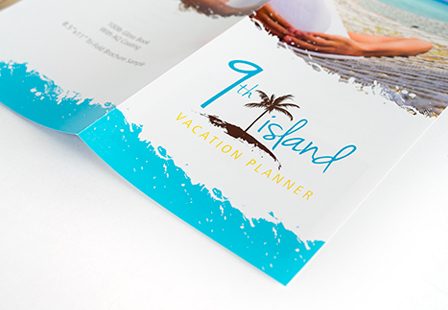 Create captivating custom brochures that present your business information beautifully and clearly. Printing brochures is a great way to enable potential customers to learn new and additional information about a business, service, product or a special promotion. Brochure printing continues to be a powerful and cost-effective marketing tool for any size business. In addition to providing a large selection of brochure sizes, we also offer a variety of folding options including the popular Tri-fold. Please Select 3.67" x 8.5" 4" x 6" 4" x 8.5" 4" x 9" 4" x 11" 4.25" x 5.5" 4.25" x 11" 4.25" x 12" 5.5" x 8.5" 5.5" x 17" 6.5" x 9" 7" x 8.5" 7.5" x 8.5" 8" x 9" 8" x 10" 8.5" x 11" 8.5" x 14" 8.5" x 22" 9" x 12" 9" x 16" 10.5" x 17" 11" x 17" 11.5" x 17.5" 12" x 18" 17" x 22"